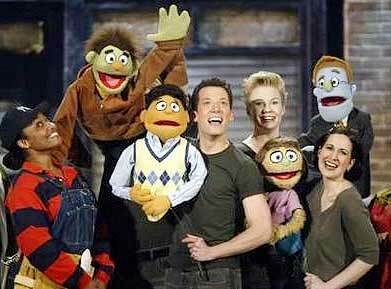 Ave Q closed on Broadway, but announced a transfer to Off-Broadway! At the final Broadway performance for Avenue Q, one of the show’s producers announced to the cast, crew and audience members that they need not bid the show goodbye – it is transferring Off-Broadway to the New World Stages on Oct 9! This is one of the first shows (if not the first) to make the transition from Broadway to Off-Broadway and I personally could not be more thrilled that visitors to NYC will still be able to see it. Casting has not been announced for the Off-Broadway version, though the same set, puppets and creative team will be used for the new staging.